As revealed by Eurogamer last week, Epic Mickey 2, due out this September, is being made by around 800 people in a new "virtual team" approach. UK studio Blitz Games is handling the PS3 and Xbox 360 version, leaving Spector's Junction Point to concentrate on the Wii version. Why? Because the 160-person Junction Point has Wii expertise and in-house Wii tech, having made the first game exclusively on the Nintendo home console. "I didn't want to built the 700 person team, and my studio has Wii expertise," Spector told Eurogamer. "So there are those two factors. And I'm just not a believer in the idea you have to make different games for different platforms. We had a game experience we wanted people to have. We had a story we wanted to tell. "One of the goals for the first game was to make a Wii game that had even other developers saying, 'Holy cow! I didn't know you could do that on a Wii.' And so, at the end of the day, we decided we wanted to make the same game for all three platforms. "And because we have Wii tech and Wii expertise and because we needed to build next-gen tech, which we didn't have, we prototyped, essentially, on the Wii. And the next-gen versions are running about a month behind everything. Just recently, everything caught up, so now we're running in lock step, making them simultaneous. "If we come up with something in tuning the game at Junction Point on the Wii version we think will benefit the 360 and PS3 version, that gets integrated into the 360 and PS3 version. If the guys at Blitz working on the next-gen platforms come up with something that will benefit, it comes back the other way." I guess you could say the Wii is the lead platform, because we're driving the creative on all three platforms. But really, it's been a two-way street. They're both feeding into each other - Junction Point boss Warren Spector. He added: "I guess you could say the Wii is the lead platform, because we're driving the creative on all three platforms. But really, it's been a two-way street. They're both feeding into each other." 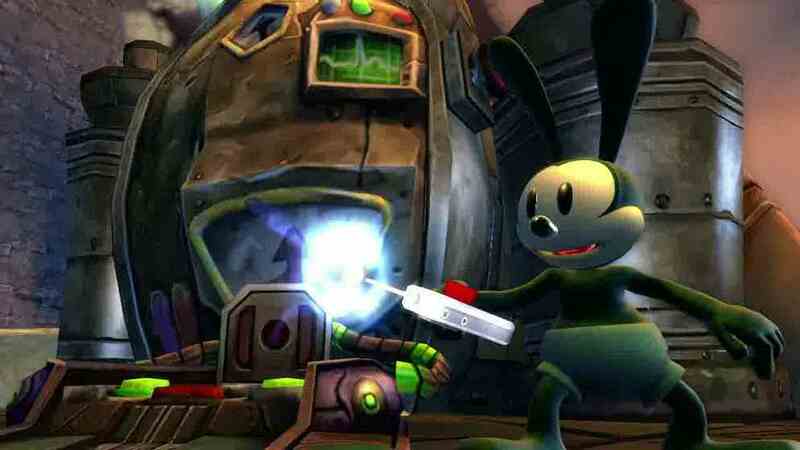 According to Spector, Epic Mickey 2 will end up the same game across all platforms, apart from the Nintendo 3DS version. This game, while set in the same universe, is completely different, and has been described as the follow-up to much-loved 16-bit classic platform Castle of Illusion. But this does not mean the PS3 and Xbox 360 version is simply an "up-rezzed" port of the Wii game, Spector said. "The power of the next-gen platforms allows us to do cool shader effects, higher resolution graphics, and more and better visual effects. It is the same game across all platforms, but graphically, the assets are not shared. We created all new assets for both next-gen platforms, so it isn't just up-rezzed stuff."